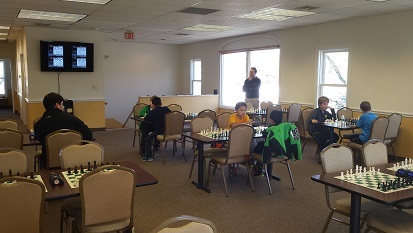 It was another very busy Saturday at CCFC with four sections in our weekly quads! 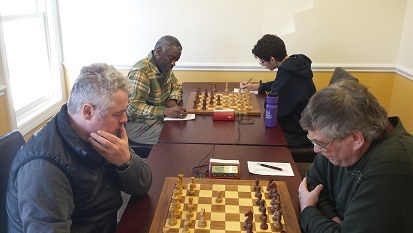 The first quad was won by NM Hans Niemann who defeated SM Arslan Otchiyev in the final game to clinch the victory. Meanwhile Andrew Dexter won the second quad by a narrow half point margin. Vincent Xu took quad three with a 2.5/3 score! 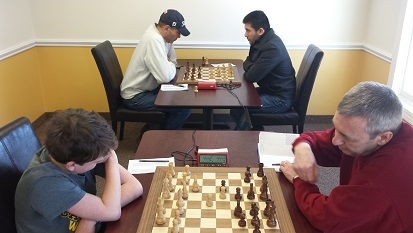 And finally, in the bottom section, Thomas Ewald emerged as our victor with a 2.5/3 score! Thank you to everyone who participated. We look forward to seeing you again soon.